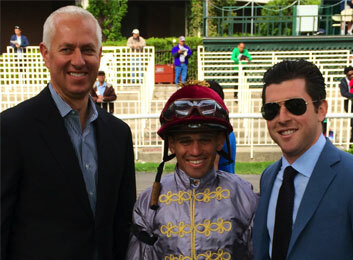 Bradley S. Weisbord launched BSW Bloodstock in 2014. Initial clients included Al Shaqab Racing (Sheikh Joaan al Thani) who achieved instant success and visibility. Since then he has added TOBA’s 2015 New Owner of the Year Sol Kumin as a management client as well as dealings with top owners Winstar Farm, SF Bloodstock, Gary Barber, Richard Santulli, Bobby Flay, Zayat Stables, Mike Dubb, Glen Hill Farm, Everett Dobson, Hill ‘n’ Dale Farm, Taylor Made Farm, The China Horse Club, Coolmore, etc. 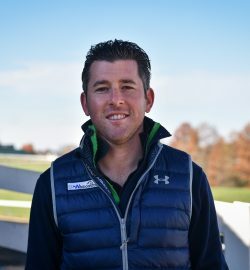 A 2007 graduate of the University of Wisconsin with degrees in Economics and Real Estate, Weisbord began his professional career in Thoroughbred racing as the stallion and business manager for Ahmed Zayat’s Zayat Stables. He was later named racing manager, a position he held for two years. In 2011, he accepted the position of chief operating officer at Team Valor International, the successful racing syndication founded by Barry Irwin. 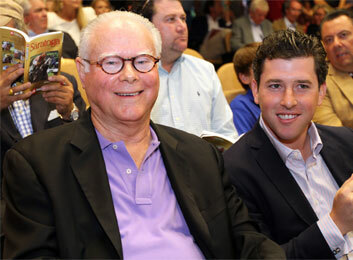 In June of 2014, Weisbord was voted onto the prestigious Breeders’ Cup Board. At 28 he was the youngest member to be elected in the board’s 30-year history. He follows the main racing circuit on the East Coast, splitting time between Kentucky, New York and South Florida with his wife, Rebecca. Bradley was hired in December of 2009 by Ahmed Zayat of Zayat Stables to be the stallion and finance manager. He was promoted in 2010 for his title to include racing manager where he joined Mr. Zayat in managing the 100-horse stable. His role included leading the buying team at the yearling and two-year-old auctions. During his two years at Zayat Stables the company finished in the top five in earnings each year, ran 2nd in the Kentucky Derby (Nehro), and won 19 Stakes races, producing four Grade 1 Winners (AZ Warrior, Eskendereya, Jaycito, and Rightfully So). In his final year with Zayat Stables, Bradley led the buying team to G1 winning yearlings acquisitions Bodemeister and Paynter, both stallions currently standing at WinStar Farm. Bradley enjoyed mentoring the current racing manager of Zayat Stables, Justin Zayat, who campaigned Triple Crown winner American Pharoah in 2015. He maintains very close ties to both Justin and Ahmed Zayat. Barry Irwin of Team Valor International hired Bradley away from Zayat Stables in July of 2011. Team Valor was in a major growth phase having won the G1 Kentucky Derby in 2011 with Animal Kingdom defeating Zayat Stables’, Nehro. His responsibilities included client recruitment and racing and financial management of the 165-horse stable. Team Valor managed over 300 racing investors during this time and counted Animal Kingdom’s win in the $10 million Dubai World Cup as its greatest triumph on the racetrack. Graded Winners during this time also included: G1-Summer Soiree, G1-Ebony Flyer, G2-Daveron, G2-First Cornerstone, G2-State of Play, G3-Howe Great, G3-Infinite Magic and G3-Went The Day Well (also 4th in the G1 KY Derby). Team Valor campaigned horses in America, England, France, Italy, Germany and South Africa. Bradley accredits Team Valor International’s CEO Barry Irwin for his knowledge of the international markets. 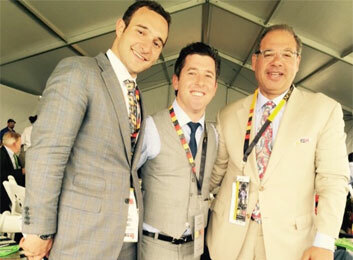 Bradley Weisbord was appointed United States Racing Advisor to Al Shaqab Racing in March of 2014. Launching the program in America with four two-year-old acquisitions in 2014, Al Shaqab Racing has achieved an unbelievable feat of 31% wins and 69% in the frame from 42 starts over the last two years. Al Shaqab was leading stakes owner at Gulfstream Park’s prestigious winter Championship meeting (2014-2015) winning with 7 of their 8 starters (5 Stakes).